Authentique Paper and Therm O Web are teaming up over the next couple of days to bring you tons of inspiration using Authentique Paper and Therm O Web products! After you check out the projects here on the Authentique Paper blog, be sure to head on over to the Therm O Web blog to find out what the talented members of their Design Team have in store for you today! I love to use the 3d foam blocks to create dimension on my cards/projects.This time, I made a little project for Father's day, a little box with a tri-fold card inside! I even prepared a little tutorial for you all! First the box: For the box, I used cardstock as the base. I made a little sketch so you can copy if you want to make one of your own. 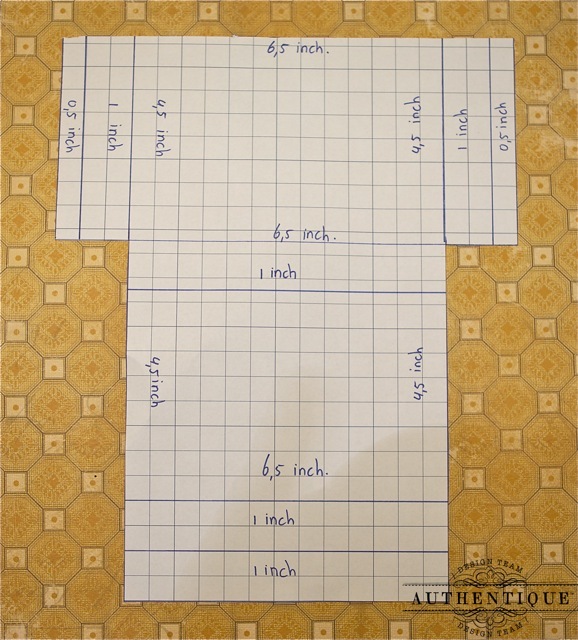 The inside lines are the score lines, and the two 0.5 inch pieces are the ones you glue together. On the top of the box I made a little handle. I made the lines with the sticky dot runner from therm-o web. Then I used embossing powder and a heat gun to give dimension to the project. 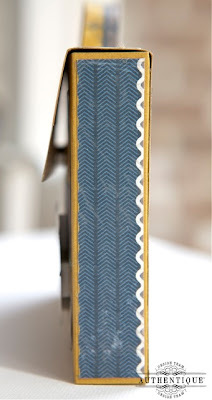 I love all of the little details in the stickers and die cuts in the Strong collection, they give inspiration and the ability to have creative freedom on your projects. The card base is a cut from a Sizzix die. The three pieces are held together with little book rings. I love the fact that we have so many amazing adhesive companies out there and Threm -O-Web is definitely on top of the adhesive ladder, but there is something I am so excited about and it's not just the adhesives. Threm-O-Web has some pretty fun glitter products too. Let me share! 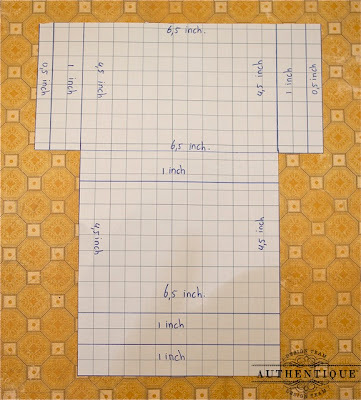 I really need my projects to hold together because of all the dimensions I add to them. So, on this layout, I used Therm-O-Web's Zots, Sticky Dot Runner, 3D foam Squares, Pink Glitter Dust Spray and Gold Glitter Photo Corners. On these next few photos, I sprayed the Glitter Dust on my title, cut the clouds out from my 12x12 piece of background patterned paper and sprayed them with Glitter Dust. My paper ruffles were sprayed with Glitter Dust as well. I love the extra effect it had on my layout and everything is held together with Therm-O-Web adhesives! Don't you just love the shimmer it has and how about those fun Glitter Photo Corners? I loved the idea of Glitter Dust and best of all...it doesn't come off. The glitter stays on on my layout were it should be. Pink Glitter Dust Spray, Zots, Sticky Dot Runner 3D Foam Squares and Gold Glitter Dust Photo Corners. Thanks for stopping by and playing along with us this week! We still have an Authentique Prize Pack to give away to one of our lucky commenters (please leave unique comments!) Don't forget to stop by the Therm O Web Facebook Page and tell them Authentique Paper sent you! LOVE these products. LOVE Authentique! That Father's Day box is fantastic! What a wonderful gift! Beautiful projects yet again, I love the small tutorial that Loes did I even pinned it for later use...the box is just too cute to pass up. I am so loving the glitter dust...I really need to get my hands on some it seem so much better than regular glitter less mess I am thinking! thank you so much for the wonderful inspiration! the projects are fantastic! thank you for sharing. Wonderful project. I love that Father's Day box and tri-fold card set. A father would be so proud to have this box that his daughter made - and to be able to look back on fun times. I love the embellishments on the second layout. The ruffles are so pretty. Great job. thanks for having the hop. Fabulous project ideas! It is good to see some masculine projects. The father's day mini is so awesome! That Strong collection is so fabulous. Love the pretty lo -so very glittery! Looks like a lunch box!!!!!!!!! Thanks for sharing with us all week! Fantastic projects! Thank you for the template! Thanks for the box-card template! Love both these projects, great details! Awesome projects and very inspiring! looks like another project to put on my to-do list. can't wait to try. Wonderful projects, and I LOVE that little box with the card inside! Wonderful layout and awesome Father's day box. So much wonderful inspiration, love the tri-fold dad's card and it's box. 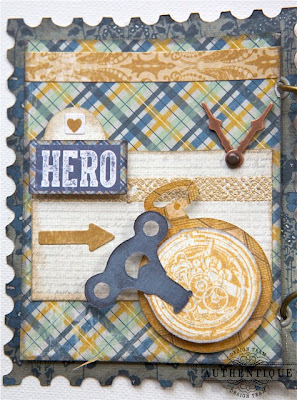 Wow.. great use of those dies and other elements! Great layout , love the paper ruffles and your popped up title. The glitter dust sounds fun... gotta try some ! Both projects are fabulous! I love the box and cards. It makes a great keepsake. I never really liked things popped up but I do now. They really look great on both projects. My dad would love that. It's such a cute box. And the card by G. is really pretty. Nice job. Great projects! Love that tri-fold card with box! Yeah, Yippie, awesome... 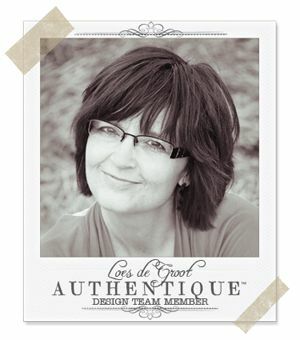 I am so thrilled to happen upon Loes' Fathers Day gift box, it's the perfect solution I've been seeking. I recently made a mini scrapbook filled with photos of my dad from when he was a little boy. The book is extra special, because it's for my dad's 60th birthday on May 10th & he has no idea that any of the photo in the book even exist. I wanted to place the book in something special & Loes gift box is now that something special. Not only is the perfect gift wrap but it's also the perfect storage for the scrapbook. those are some great projects and thanks for the tutorial on the box, great job ladies. thanks for sharing God Bless. Just love the card box!! Thanks for sharing the template!! what wonderful projects! That card box is such a great idea for mini albums or card sets. Thanks for sharing that cutting guide. Amazing how beautiful the tri-fold card is with just stickers and die-cuts. I can see that this would come together so easily with all those coordinating elements. Wow! 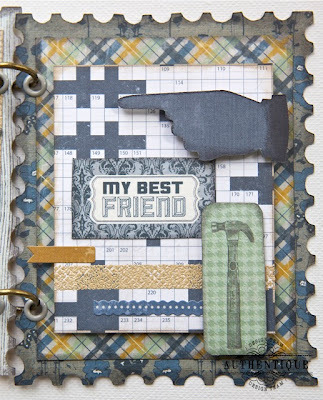 Awesome, sweet, stunning project and layout! 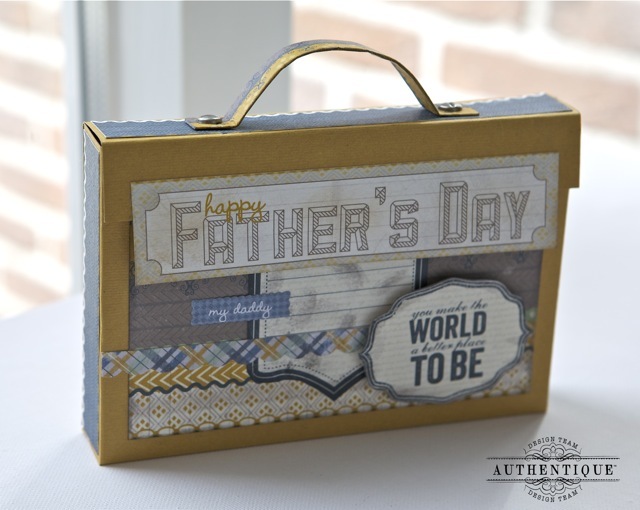 I love Authentique's Strong paper line and I just love the dimension of the Father's day scrapbook pages and box! The Grace collection is sweet too and I love the Therm-O-web's glitter products! I am going to have to try them because I so love glitter, but I don't like it when it stays on ones fingers and not on the project! Thanks for sharing! These projects are simply amazing and breathtaking! Love the box for dad with the handle. I have been so inspired this week - Thank you all so very much!! I could have sworn I commented already because I remember pinning the briefcase box card, but I will comment again. I love these projects, especially the box card. It's awesome. Thanks so much for the tutorial and the template. I really like the scrapbook layout! Thanks for sharing your art!